We held a planning meeting before the creative project began. Everyone was pleased and excited that the finance had arrived and the project could begin. Things had changed a little in this family owned and run Care Home. Alison Pearce the Manager I had liaised with during Sheena’s maternity leave, had returned to manage the families other Care Home ‘Five Gables’. Sheena, now a proud mum of two, is back Managing ‘Beech Court’ with Alan Pearce (Father in Law) and owner, Directing both Care Homes. Sheena was able to develop her understanding of this creative project as we discussed the aims and expectations. To interact with individual residents using puppets to create ‘Now Moments’ of communication and emotional response. To explore using puppets to interact with the residents some of whom may have dementia and have limited verbal communication. To inspire Care/all Staff to value their interactions with the people they care for. To share puppet making skills with staff and residents. To generate two Life Story puppets for the home to continue to use, undertaking research with their families. 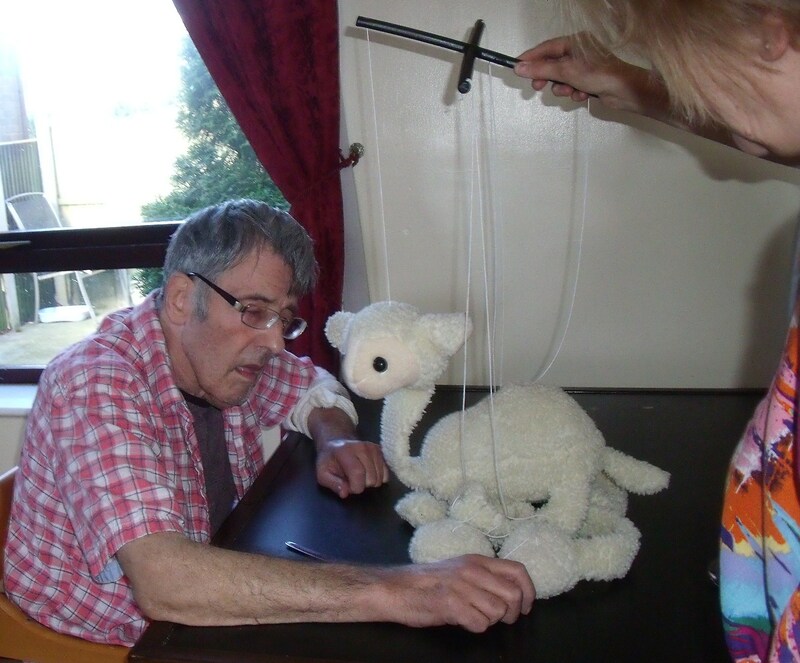 To generate a site on the web to document this creative use of puppets in a Care a Home. To publish the creative use of ‘Puppets in Elderly Care Home’ in national publications.